Violet & George was born out of an enthusiasm for the tradition and history of textile design and production. 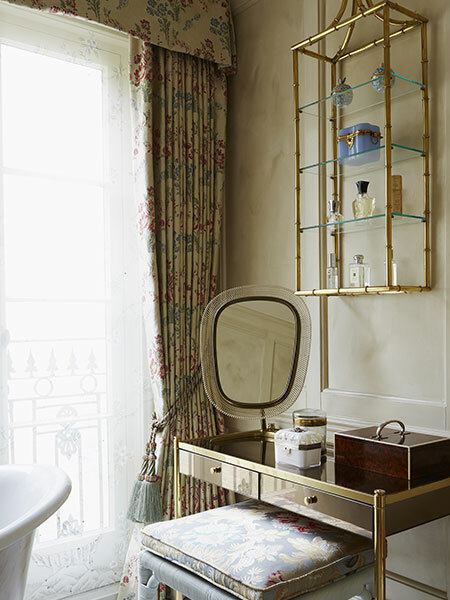 From our launch in 2009, we have become synonymous with sumptuous made to measure curtains that reflect our diverse range of clients unique and individual tastes. 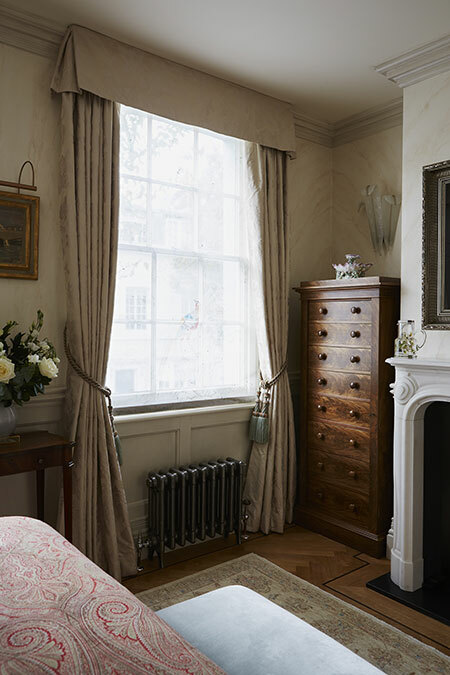 From our studio in North Kensington and our workshop in Berkshire, our bespoke curtain making service offers an extensive, curated range of fabrics to select from for skillfully fitted curtains. 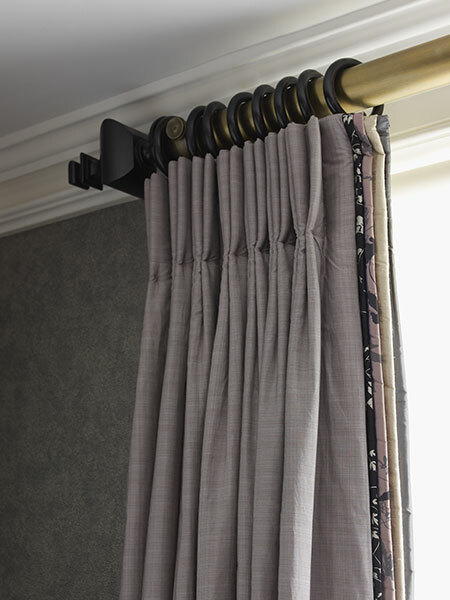 All our made to measure curtains are manufactured in the UK. 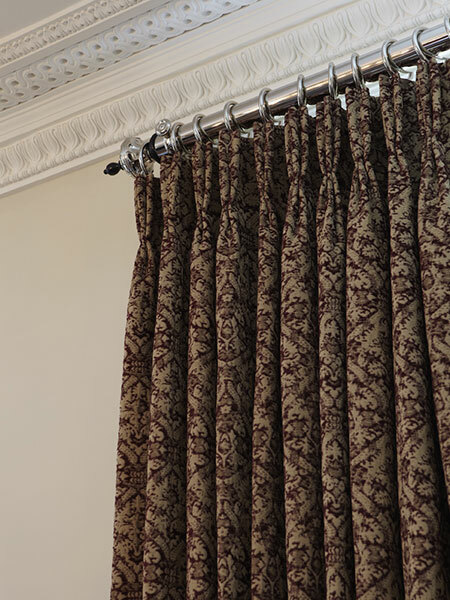 Our bespoke curtains can be made with any heading. We advise and supply the most suitable curtain headings for the situation along with pelmets and poles, tie backs and passementerie. We know how to compliment your windows and how to respond to awkward spaces. 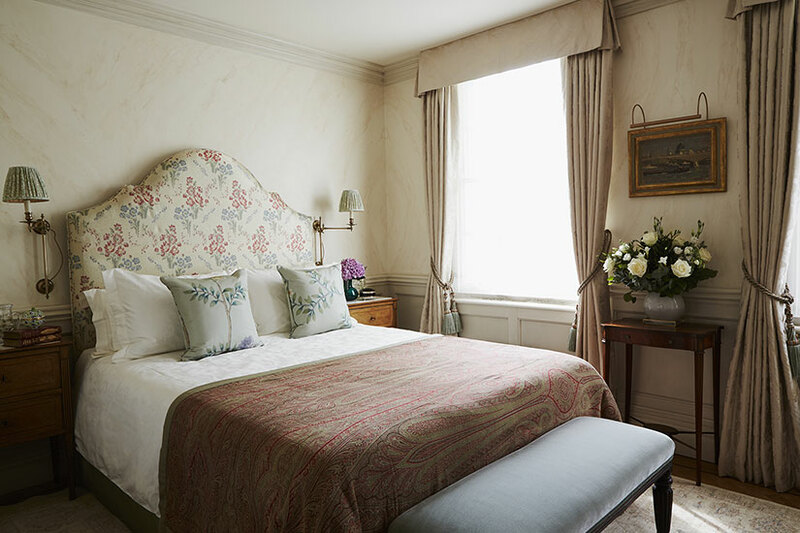 Step3: Once all the fine details have been confirmed from headings, to pelmets to poles, to linings and interlinings, how the curtains will break on the floor and how they will be fitted we can finalise the quote before putting the curtains into production. Step4: Our talented, knowledgeable and trustworthy team will install your curtains with respect for you and your home. Violet & George offer an extremely bespoke, individual service that captures the one-of-a-kind blend of the property, the individual and realises the dream of what's achievable. A practically impalpable combination of histories, identities and aspirations. Ultimately, it’s about you, our client and what you want to achieve, not only the textures and colours, but about your way of life, that is the distinction. To arrange a design consultation and measured survey feel free to call 020 8969 0654 or email info@violetandgeorge.com. 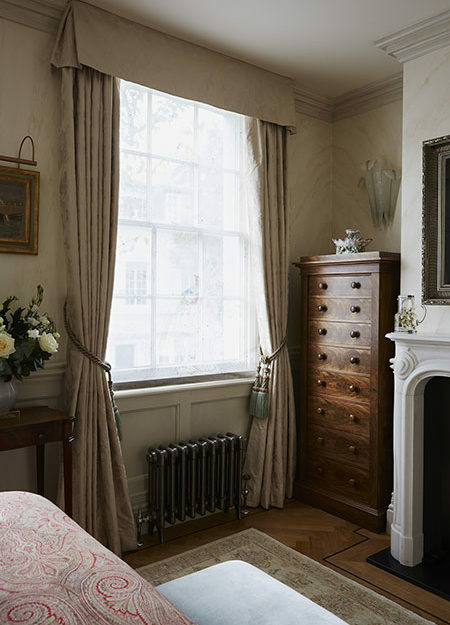 Violet & George made to measure curtains service was born out of enthusiasm for the tradition of textile design and soft furnishings production. Over the years, we have become synonymous with luxurious bespoke curtains that reflect our diverse range of clients unique and individual tastes. Explore our portfolio of made to measure curtains and unleash your spaces potential.